Mayo carried home 2 awards from the Supermac’s All Stars with the All Star Award for Best Local Store Marketing going to Supermac’s Ballindine/Ballinrobe/Claremorris for performing strongly throughout 2016 in the area of local marketing activities. The award was collected at a ceremony in the Loughrea Hotel and Spa, Galway by franchisee, Danny McHugh. 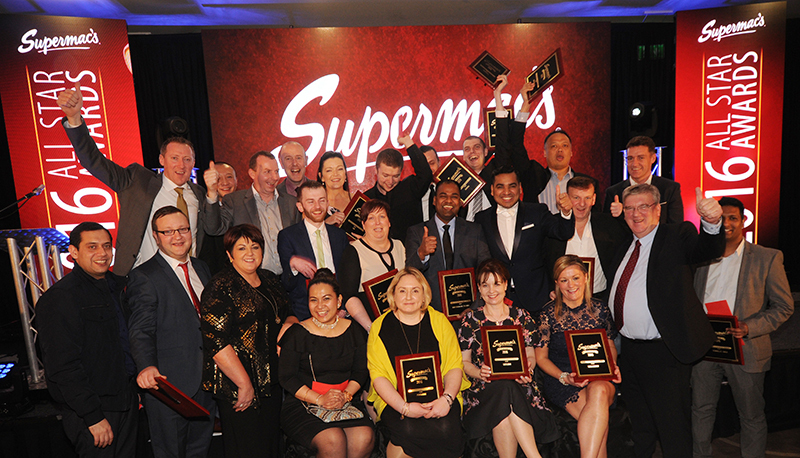 Supermac’s Castlebar won the QSC Award as the best performing franchised outlet throughout 2016 in the area of quality, service and cleanliness in 2016. The award was collected on the night by Joan Collins of Supermac’s Castlebar. Speaking at the event Supermac’s MD, Pat McDonagh, paid tribute to the Supermacs’s team. “Being a Supermac’s All Star winner means that the team has put in a lot of hard work throughout the year to achieve it. I would like to congratulate all the winners and their teams on winning their awards and I know that they will continue to provide the quality of service that our customers deserve,” he said. Sales Performance of the Year (Company Outlet) – Barack Obama Plaza. 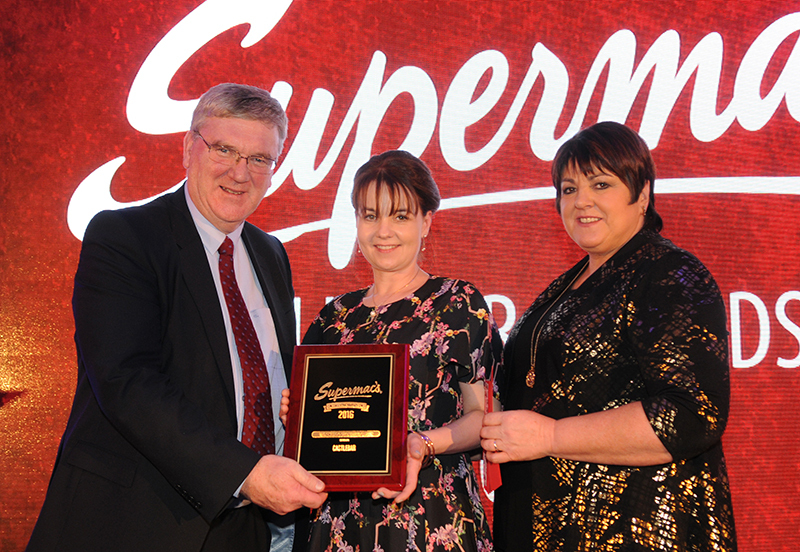 Sales Performance of the Year (Franchised Outlet) – Supermac’s, Dublin Rd, Carlow. Best Customer Service (Company Outlet) – Supermac’s, Portlaoise. Best Customer Service (Franchised Outlet) – Supermac’s, Trim. Local Store Marketing (Company) – Supermac’s, Shannon. Local Store Marketing (Franchised) – Supermac’s, Ballindine/Ballinrobe/Claremorris. Company Outlet of the Year (Operations) – Supermac’s, O’ Connell St, Dublin. 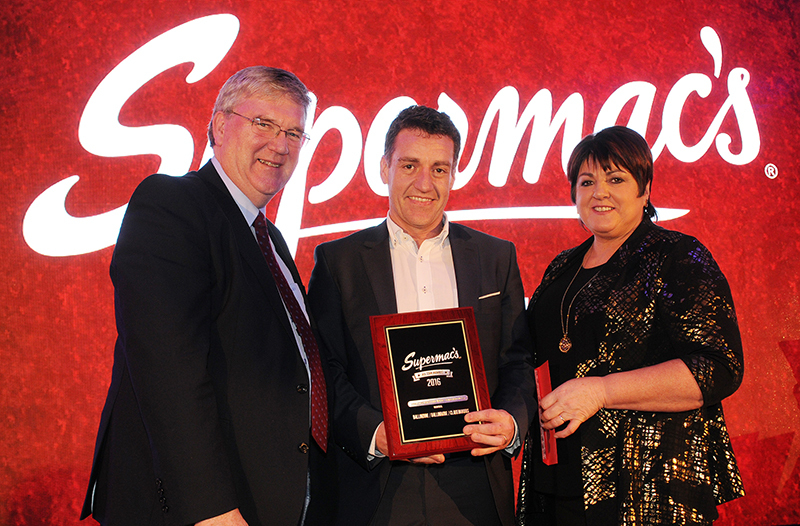 Franchised Outlet of the Year (Operations) – Supermac’s, Carrick On Shannon. Customer Service People of the Year - Elena Dragulin – Barack Obama Plaza; Khaylar Tabalisima – O’Connell St, Limerick; Mudassir Zeb – O’Connell St, Dublin; Timea Elseki – Dalys, Killarney; Via De Katalina – Sarsfield Road, Balinasloe; Zaheer Ahmed – Tuam Road, Galway. Papa John’s Pizza of the Year (Company) – Westmoreland St, Dublin. Papa John’s Pizza of the Year (Franchised) – Thurlas, Co Tipperary. Express Outlet of the Year – Bowlers, Killarney. QSC Award (Company) – Headford Road, Galway. QSC Award (Franchised) – Castlebar, Co. Mayo. Retail Outlet of the Year – Spar, Tipperary Town Plaza. SuperSubs Outlet of the Year – Barack Obama Plaza. Joan Collins of Supermac’s Castlebar with the Supermac’s All Star QSC Award with Pat and Úna McDonagh in the Loughrea Hotel and Spa, Galway, last Tuesday night. Danny McHugh of Supermac’s Ballindine/Balinrobe/Claremorris with the Supermac’s All Star Award for Best Local Store Marketing with Pat and Úna McDonagh in the Loughrea Hotel and Spa, Galway, last Tuesday night. All the winners at the Supermac’s All Stars Awards in the Loughrea Hotel and Spa last Tuesday night with Pat and Úna McDonagh.